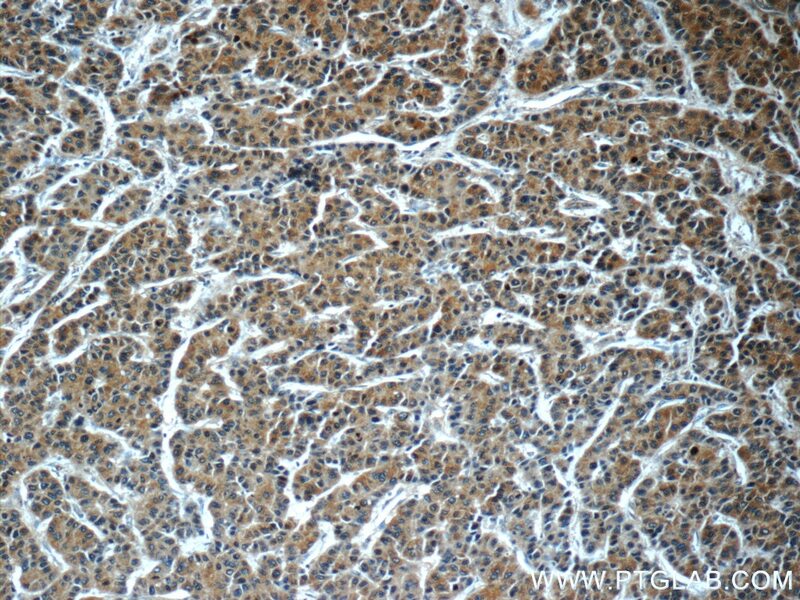 Immunofluorescent analysis of MCF-7 cells, using GDI2 antibody 60078-1-Ig at 1:25 dilution and Rhodamine-labeled goat anti-mouse IgG (red). GDP dissociation inhibitors (GDIs) are proteins that regulate the GDP-GTP exchange reaction of members of the rab family, GDIs can bind and release GDP-bound Rab proteins from membranes. 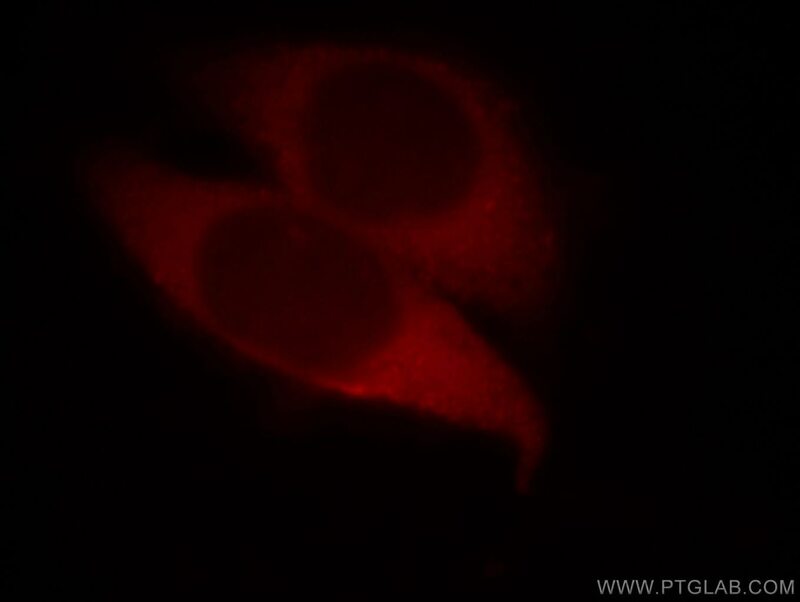 Two GDI proteins towards different Rab proteins have been identified. GDI1 interacts with almost all of the Rab proteins, while GDI2 interacts with Rabll but not Rab3A. 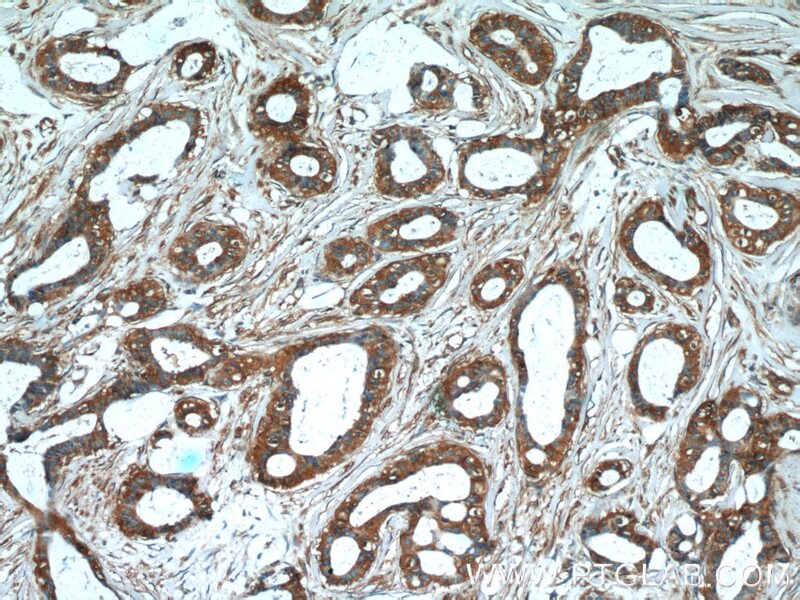 GDI2 distributes ubiquitously, displaying a membrane bound location in perinuclear regions of cells. 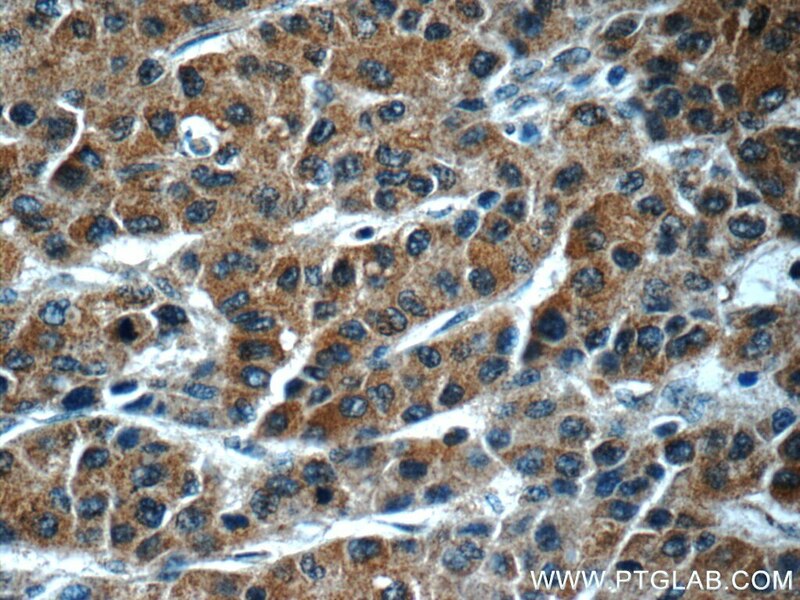 GDI-2 was thought to be involved in cellular response to insulin. It electrophoreses as a 46kd protein in SDS-PAGE. (PMID: 7929030; PMID: 19570034). 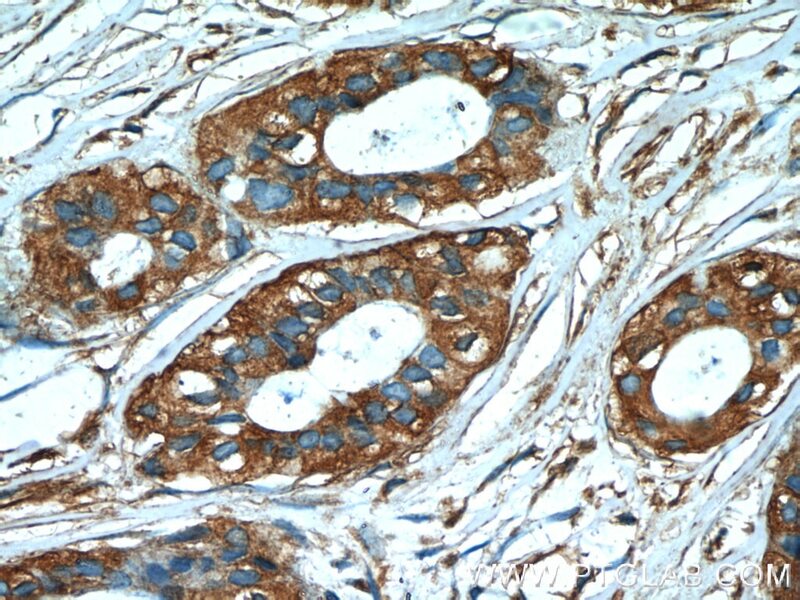 This antibody can bind both GDIs for the close sequences. 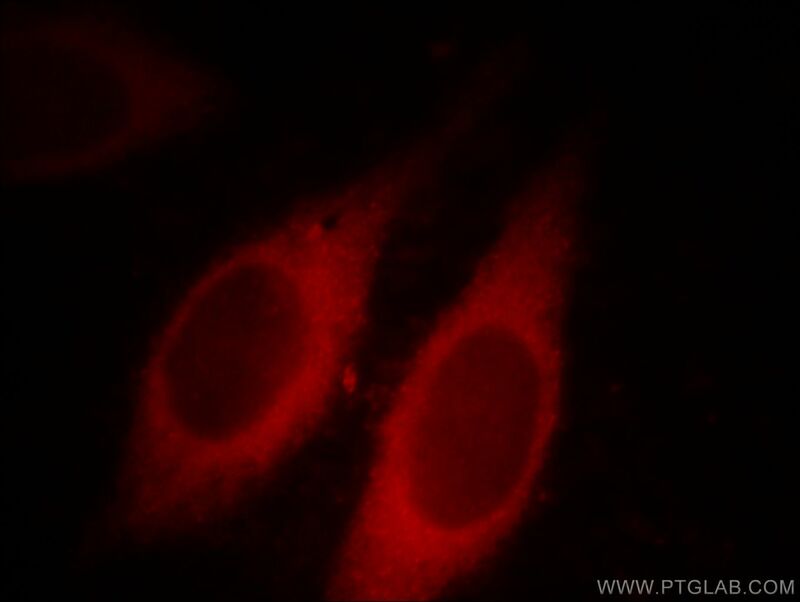 Immunofluorescent analysis of Hela cells, using GDI2 antibody 60078-1-Ig at 1:25 dilution and Rhodamine-labeled goat anti-mouse IgG (red).